The summit of Hopegill Head, also known as Hobcarton Pike, lies at the top of Hobcarton Crag. The satellite summit of Sand Hill is to the left. 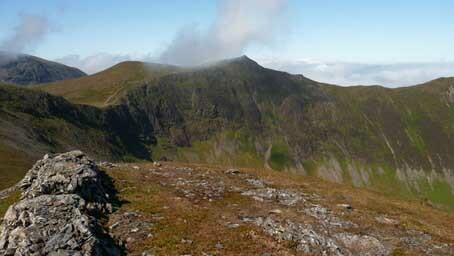 Grasmoor appears in the background, on the left. The ridge to the right leads to Ladyside Pike. Larger version of this picture.